Once you get your new sofa, we know you’ll want to keep it looking just as good as it was when it was first delivered. To give you a hand with this, we’ve made this simple sofa care guide which will help you keep your sofa in pristine condition. If you’ve opted for one of our softer cushion fillings, more regular plumping will be required to keep them in shape and comfy. To do this, simply remove your cushions from your sofa and give them a good pat on each side and a little shake to make sure they’re back to the original shape. After that, drop them onto a clean floor to get some air back into them. Once you’ve done this, just place the cushions back where they belong and you’re good to go! If you’ve opted for a firmer filling, it will still need love and attention every now and again, but it is generally easier to keep it looking great. If you have any questions about which fillings are available and which one is best for you, feel free to have a chat with one of our helpful team who will be happy to give you more information. We recommend that you dust your sofa from time to time, although it’s best if you do it around once a week. It’s best to use a soft cloth or duster to wipe down the surface of the leather. If you use a damp cloth, make sure all moisture is removed from the surface to ensure the leather stays looking great. If you want to hoover into crevices or under the cushions, use a soft brush attachment to avoid any potential damage. A good start to your monthly sofa care is to thoroughly hoover around your sofa, including underneath and behind. If you have a sofa bed, this is a good opportunity to hoover the mattress too, and leave it to air for a few hours. Potentially checking the positioning of your sofa can also be a good option if you want to prevent any damage to the leather. If your sofa is getting any direct sunlight or is next to any radiators, it might be better to move them to preserve the colour of the leather and stop it from fading. For your cushions, you can take them out of their cases to give them a proper plump and help shape the fibres, ensuring that the cushion is then carefully placed back into the case and zipped up tight. 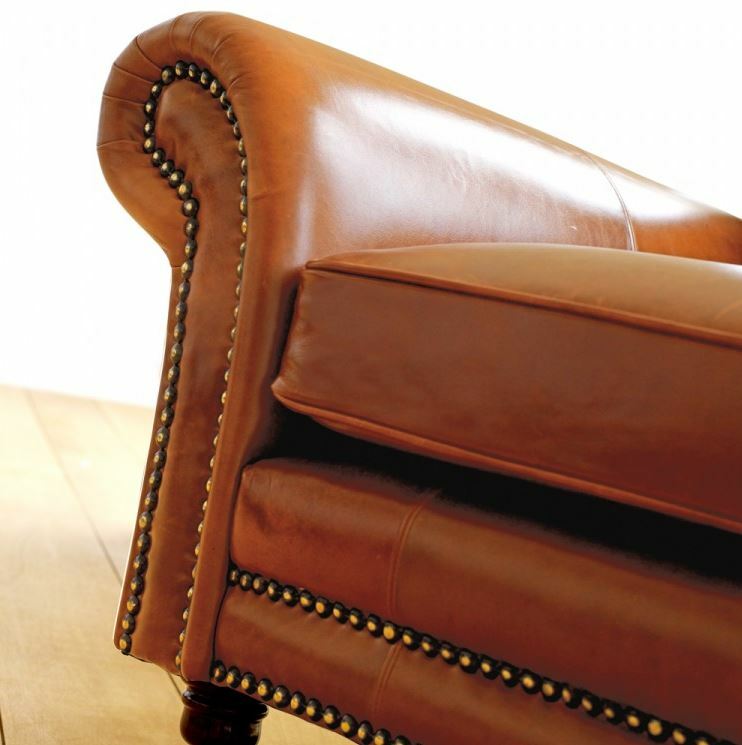 ← What makes a sofa a Chesterfield Sofa?